A marketing strategy is important for all businesses because it clearly outlines how you will find new customers and promote your products and services to ultimately get more sales. You can use this type of action plan as a stand-alone tool, as part of a marketing plan or a part of a business plan -- all with slightly different components. For now, we're going to focus on creating a marketing strategy for your business. What Does a Marketing Strategy Section of a Business Plan Include? 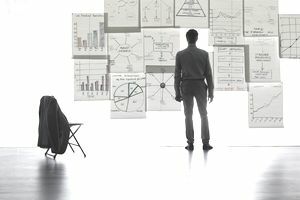 There is a lot of marketing information provided in the marketing strategy section that not only gives potential investors important information to review in their analysis of your business, but it can also be used as a blueprint for your marketing plan and all of your future marketing activities. Here is a look at how to break down the key information in the marketing strategy section of a business plan using the 4 Ps of marketing concept. Your marketing strategy can be one of the most powerful parts of your business plan. Here are a few tips to keep in mind as you write your marketing strategy section so you can make it as effective and relevant as possible. The foundation of your marketing strategy should be your unique selling proposition (USP), or the statement that outlines what differentiates you from everyone else in the market. Create your USP first, and then build upon it by relating it to each of the 4 Ps. The common thread through each part of your marketing strategy should be how your business solves a problem or meets a need better than anyone else. The information you include in your marketing strategy should incorporate all of the research you conducted in your market analysis. Make sure you have a clear idea of who your ideal customers or clients are, what they like, what they need and what they expect. This will make your marketing strategy more accurate and applicable to your target audience. While the 4 Ps of marketing work well for physical products, they need to be tweaked a bit for services. For example, for the place section, you may consider adding your website versus a physical location. In addition, your website should also be a part of your promotion section as well as any social media that you participate in. When you’re determining your pricing, you should have plenty of data to back up your decision. Include industry reports, competitor ads, and comparisons that show the research you conducted and how to came to the conclusion that you are pricing your product or service correctly. Just as you should in other sections of your business plan, using charts, graphs and images to illustrate your facts can make it easier to absorb for your audience. Is your pricing right at the median in the industry? Are you planning to use a four-step distribution process? Use visual aids to drive your point home. You will outline the financial analysis of your company in another section of your business plan, but keep those numbers in mind as you write your marketing strategy. Your marketing process may look good by itself, but unless you tie it directly to your financial status, you will have a difficult time meeting your goals. If you're going to talk about your marketing collateral in your marketing section, you should include samples as exhibits to your plan. Examples of marketing collateral include business cards, brochures and fact sheets.